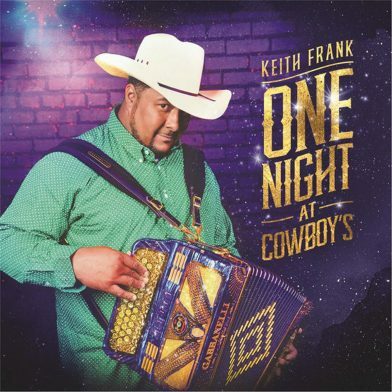 For the past several years, Keith Frank has celebrated his October birthday at Lafayette’s Cowboy’s Nightclub, so when it came time to record his third live album, Cowboy’s was a logical choice. Without anything to hide behind in the studio, Cowboy’s is a solid testament of how absurdly tight Frank and the Soileau Zydeco Band really are, with its anchoring rhythm section of siblings Jennifer (bass) and Brad (drums). It’s also obvious how unsung Jennifer’s contributions are as well, given her strong propulsive presence and uncanny ability to power the group through stepping chord changes. On the breezy keyboard-led “Come See About Me,” she takes flight with a melodious, jazz-tinged solo. Of these 14 tracks, 9 originals make their debut. The title track seems destined to become Cowboy’s theme song as Frank describes the nightclub experience including the after-show parking lot partiers. “Secrets” delivers a moralistic message about how secrets usually backfire on the beholder. Additionally, there’s the bouncy, vintage Frank–sounding “I Really Don’t Know,” bluesy stepper “Working With The Feeling” and familiar swamp pop and soul covers like “Mathilda” and Otis Redding’s “Good Music.” With all that it has to offer, sometimes it seems sonically gluttonous. But then again, maybe that’s the secret of Frank’s three-decade longevity: Hook your audience with something different for everyone. And that so far hasn’t backfired yet.